This vibrant yellow door folding card is made from a matte finish artboard and is a beautiful mix of modern and traditional design. 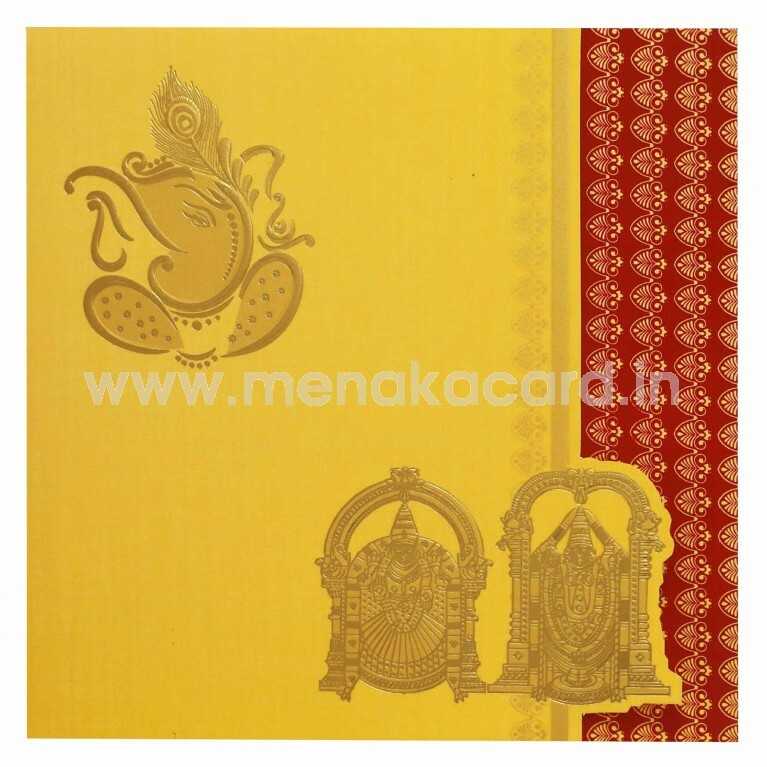 The main flap of the card holds a beautiful contemporary gold foil Ganesha with a traditional gold foil "Perumal thayyar" logo imprinted at the bottom with a die-cut profile. The lower flap has a maroon and off-white fill traditional feather motif. 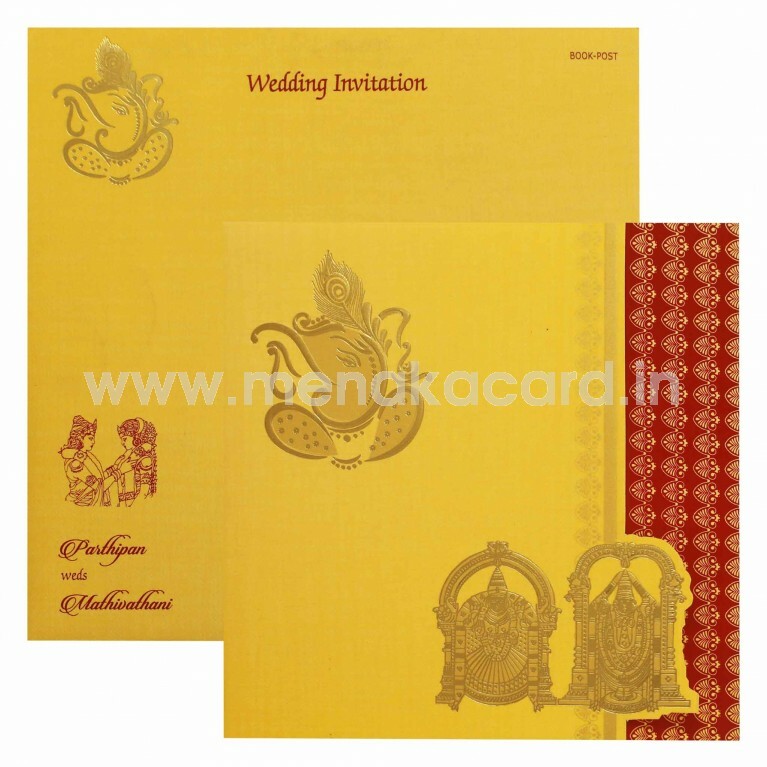 The 2 default inserts are seated in a solid card holder flap and are printed with contrasting maroon ink. 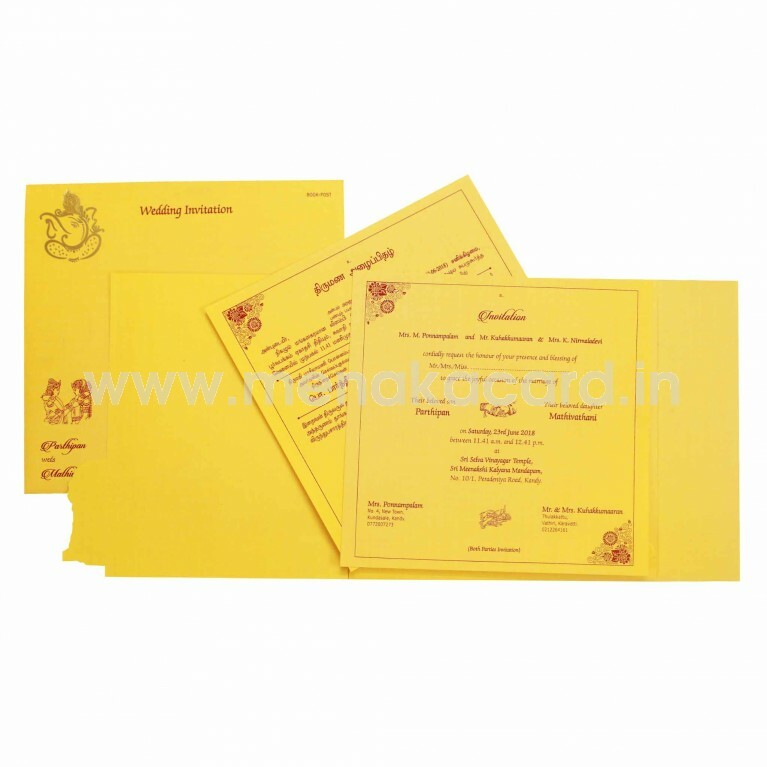 The envelope also matches the card in the Ganesha logo and text. 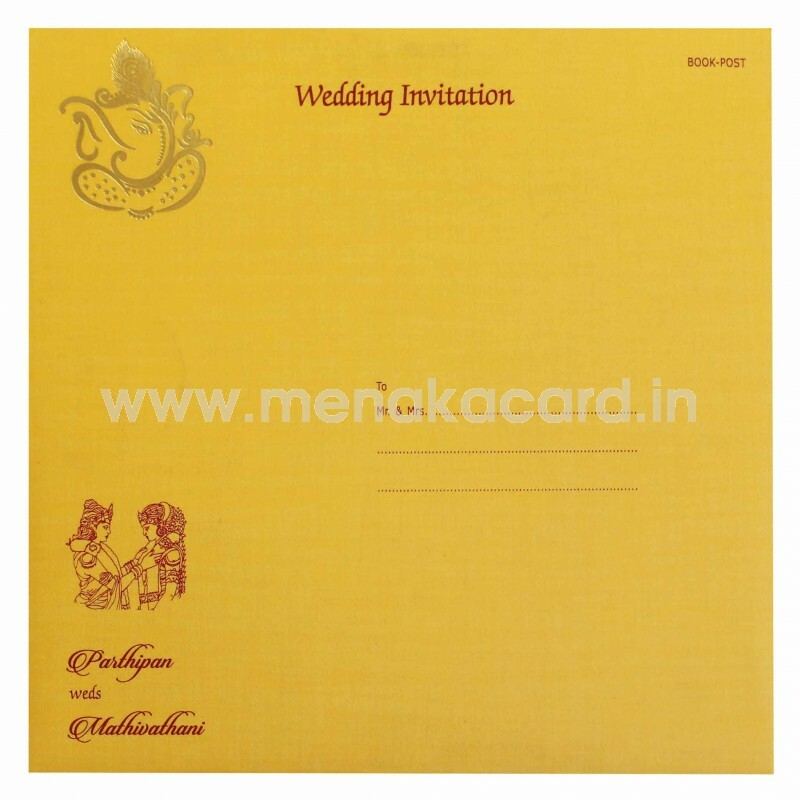 This can be used for Hindu weddings, grahapravesham, sadabishekam etc.